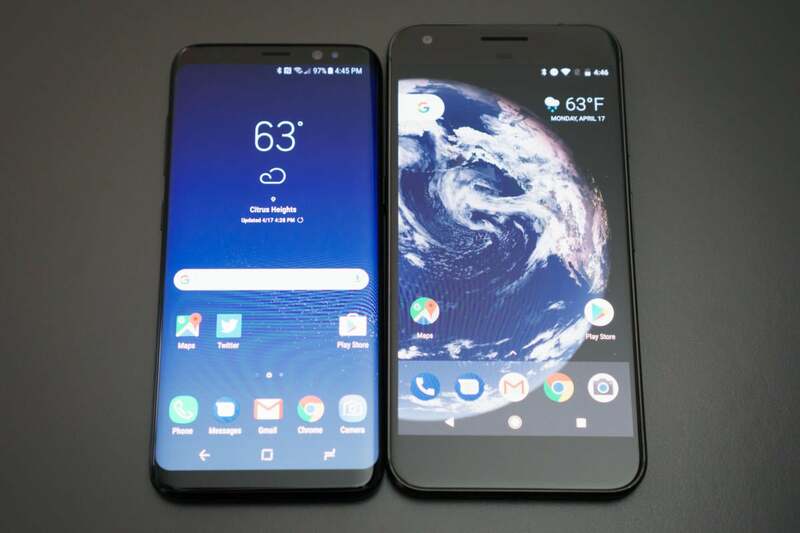 "Samsung won't have any trouble selling these devices and they will do well with both consumers and businesses," Bassett said in an interview. "Business users are very eager to get their hands on the S8, especially after the Note7 recalls. They will especially want this slick and gorgeous device." Jack Gold, an analyst at J. Gold Associates, said that up to 65% of all S8 buyers will use them for business and work purposes at least part of the time. Samsung has reportedly set a sales target of 60 million sales of both versions of the S8, compared to sales of 52 million Galaxy S7's, according to unnamed Samsung sources quoted by The Investor in South Korea. Samsung is also promoting a small dock device called DeX, sold separately for $150, that allows an Android-based desktop-like experience once the Galaxy S8 is docked and connected to a larger display, full keyboard and mouse. It could prevent an IT shop from having to buy a laptop or a tablet for a worker who travels a lot and relies heavily on a smartphone. "The buyers who were not totally disheartened by the Note7 will come back to the S8, which is getting even better reviews," Bassett added. "Remember, Samsung had trouble getting people to send the Note7 back. Samsung has set its eyes on the enterprise, particularly with the S8. They will move a lot of devices for business users."